I once worked with a man who walked around the office with an anti-gay marriage petition, asking everyone to sign it. Many did. I refused. At the time, my daughter was less than a year old and the man with a clipboard decided to try to convince me to sign my name on the dotted line by bringing her into the conversation. "What would you say to your daughter if she saw two men kissing?" he asked. Talk to her. Explain to her how beautiful love is. Hope she is lucky enough to find it. Remind her that regardless of who she chooses to spend her life with, I will always love her back. Teach her to open her eyes and her heart to the fact that this world is full of vastly different people, each on their own journey to find happiness. Be proud if she values empathy so she will care that they do. I hope as she gets older and is able to experience and digest more mature content and themes, she finds a lot of beauty in terrific, progressive art that serves as a window through which we are able to view a human experience that differs from our own. I have met so many wonderful people, both real and fictional, thanks to cinema. Thanks to great storytelling I have felt real pain and shed real tears over others who are nothing like me. Because I see them as people. Because my eyes and my heart have been opened. 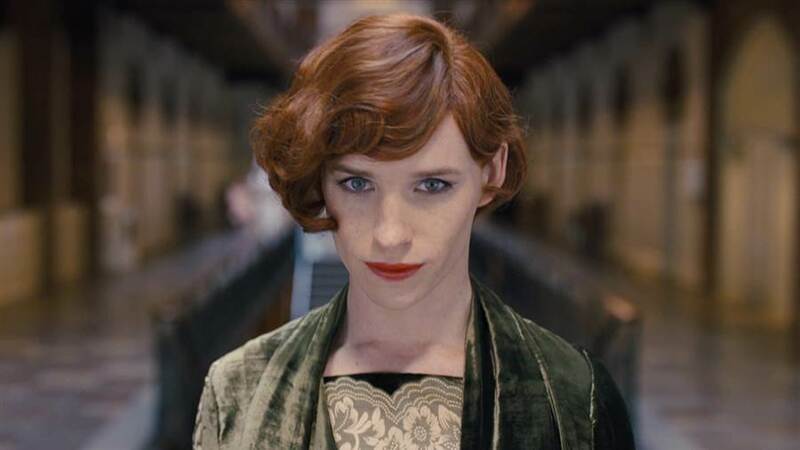 I really thought The Danish Girl might be a work to be proud of. The story of Einar Wegener who during the 1920's began the transition to become Lili Elbe, the woman whom she was born to be but was unfortunately given a body that didn't match it. An inspiring story of being honest with yourself and living the life that makes you feel whole. A story of unconditional love as a marriage survived the transition and a wife was able to look her husband in the eyes and accept her for who she now was. After I finished watching the film, I sat there stunned. I was speechless. Disbelief. The Danish Girl is absolute horseshit, and if not for a stunning, award worthy performance by the amazingly talented Alicia Vikander, would have forced me to amend my worst films of the year list. It is offensive, insufferable, shamelessly manipulative garbage. Every scene feels like it is so desperate to win an Oscar by forcing you to feel something. anything, that in the end the entire experience feels like it is slathered in artifice with no genuine emotion attached to it at all. 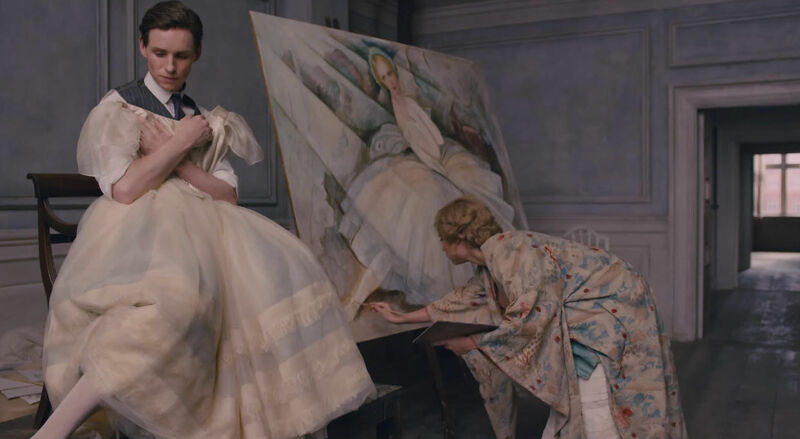 The worst offense of this picture is the way director Tom Hooper frames his main subject, Lili (Eddie Redmayne). A film that seemed destined to be progressive and inspiring instead portrays Lili in a way that is more demeaning than accepting. The lingering camera displays a polished, classy frame in every way except for the demonstration of femininity in Lili. I was disgusted by the portrayal of a trans lifestyle, as it felt like Hooper wanted to shock the audience with each passing moment rather than move the conversation forward with the notion of equality. The Danish Girl plays like Hooper originally had titled the film "The Danish Girl: Freak Show", and the hope for terrific, progressive art quickly vanished. No other female characters are treated like Lili despite the call for transgender normalcy. This movie is an embarrassment. Flat, uninspired and mostly offensive direction from Hooper. A cartoonish, ridiculous performance from Redmayne that is constantly trying so hard to move us that ironically it ends up feeling like cold, poorly conceived satire. I found myself laughing at parts that were never intended and should never have intended to be funny, and it wasn't that I found the plight of Lili or her search for happiness comical. It's that it is such a tremendous failure to tell a story or convey a message that as a result my only choice was to either laugh at its shortcomings or walk out of the room and bang my head against the wall. The final scene involving a scarf and a strong gust of wind is the second most unintentionally humorous cinematic sequence of 2015. The only thing that managed to rise above this awful final shot that was so desperate to pathetically force tears out of my eyes was the chubby kid sticking his hand in a blender in Unfriended. If only I could just watch the kid pull his hand out of the blender, walk outside and have his scarf blow away in the wind, we might just have a masterpiece. The story of Lili Elbe and her amazing journey is worthy of being told, but perhaps Tom Hooper and his heavy, harmful hand has ruined any chance of a good film being released in the future. 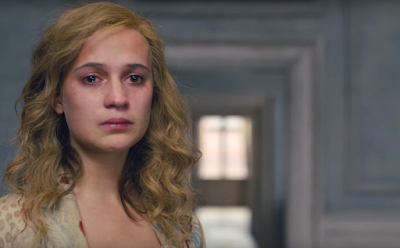 God bless the beautiful and believable Vikander for finding a way to elevate such dreadful material. 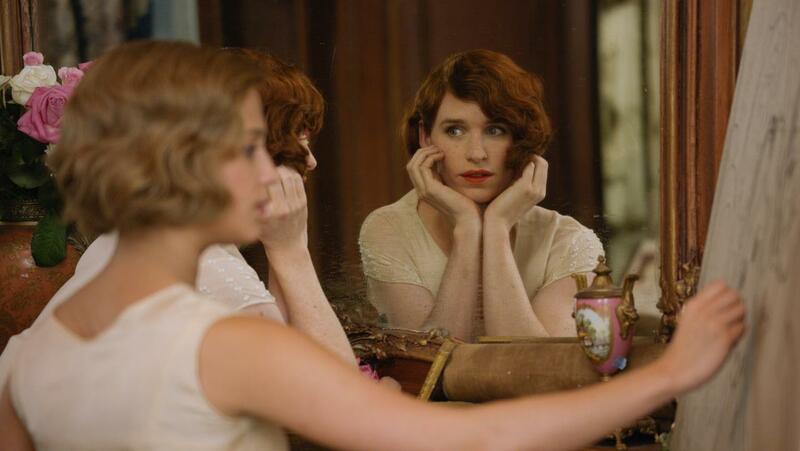 She is a revelation in a film that is unfortunately regressive for the transgender movement. I want my daughter to experience so much art and become an empathetic, loving person. I will do my best to ensure she never feels compelled to waste two hours on The Danish Girl. Wow, did not expect this reaction. I've actually been trying to write up my review of this movie for the last few days and having a hard time getting my thoughts down, but I definitely did not despise this movie as you did. I actually enjoyed it. I am curious though on the details you didn't like about it, I can definitely see why you would say that it was very Oscar-y at times (which I agree with) but what did you see that made Hooper such a bad man to direct this? Honestly, it doesn't surprise me if people do completely disagree with me here and I don't mind that being the case at all. I hope people don't hate it as much as I did, haha. Genuinely, I am glad you got something out of it. For me, it isn't that I actually think Hooper is a bad man, it's that I don't think he did the transgender community any favors with his portrayal of a character that is probably important to a lot of people. Vikander plays a strong woman in a tough situation while Redmayne felt like a cartoon character portrayal of a female. For me this was more Mrs. Doubtfire than it was progressive for a very important movement to a lot of people watching. If the idea is that she is deep down a woman, then I feel like Hooper should have treated her with the same respect as Vikander got where as the camera seemed to be zoomed in on every ridiculous aspect of the performance, including the "tuck" scene that doesn't bother me even remotely on principal but I felt like it was filmed in a way to shock and make people uncomfortable, which seems to fly in the face of an attempt to make the trans topic more comfortable and normal. Interesting. I would argue that there wasn't really shock scenes in the movie, and I don't think the tuck scene was supposed to be there just for shock value, but I can agree with you on maybe not representing a great transgender portrayal. However, I would fault the script and the actor on that part more so than the director. Quite honestly for a good chunk of the movie I forgot that Lili was supposed to be transgender and thought of it more as a multiple personalities disorder because they kept talking about the Einar side of of him/her and the Lili side, and even say directly to the audience that Lili has to kill Einar to live which didn't seem to fit the transgender mold, but I don't know any transgender people to compare this to so I can't say for sure how accurate the portrayal is. I think the concept of multiple personalty disorder rather than trans is probably pretty accurate for the time, given that people wouldn't really be familiar and able to accept the idea that someone feels uncomfortable in their skin to the point of believing they are the wrong gender. What also kind of bothered me about this film, by the way, was it seemed pretty damn easy and simple for her to make that transition in the 1920's. I literally know more people in 2015 who are angry and offended by a man becoming a woman then are demonstrated in this film, and the scene when she gets beaten up in the park was such a strangely gentle beating scene with a perfectly placed cut across her cheek in the end...I don't know, it all felt like it was trying so hard to be elegant and refined when what a person really has to go through under such circumstances is probably anything but. Thank you for your thoughts Cody, even if we can agree to disagree here. I appreciate having the discussion without getting nasty or anything, which sadly is rare for film criticism on the internet. Always enjoy hearing your thoughts on a film. Also, our discussion really helped me organize my thoughts and I finally put out my review on The Danish Girl so thank you! Absolutely Cody, I will never become angry in a film discussion no matter how far apart my opinion might be with someone else's. I always say it and I mean it, film criticism would be pretty pointless if everyone always agreed with each other. Discussion and debate and forming my own opinion is what drives me, it's what I love. Really appreciate hearing your thoughts and also that you check out my reviews at all, means a lot. Glad to hear I could inspire you haha, I would like to check that review out. On my way now, thanks Cody. All your other reviews were accurate, so I believe this one. I shall probably pass. :) Love the article, though. I appreciate that Monika, but to be fair I really can't promise that others wouldn't love this film. Many people will really be moved by it where as I could feel the people who made it screaming "WHY AREN'T YOU MOVED YET?!?! THIS IS MOVING!!!!" as I watched it. It was trying so hard to get me to give it a standing ovation that I ended up cringing throughout. While the films are completely different and beyond the main issue at hand hard to compare, if people want to watch a story involving human beings whom are actually transgender that uses subtlety and honesty to make you care, watch Tangerine. It's on Netflix.